Every year, the Canadian Unitarian Universalist Historical Society (CUUHS) fulfills the main plank of its mandate by offering a lecture on some aspect of Canadian UU history. 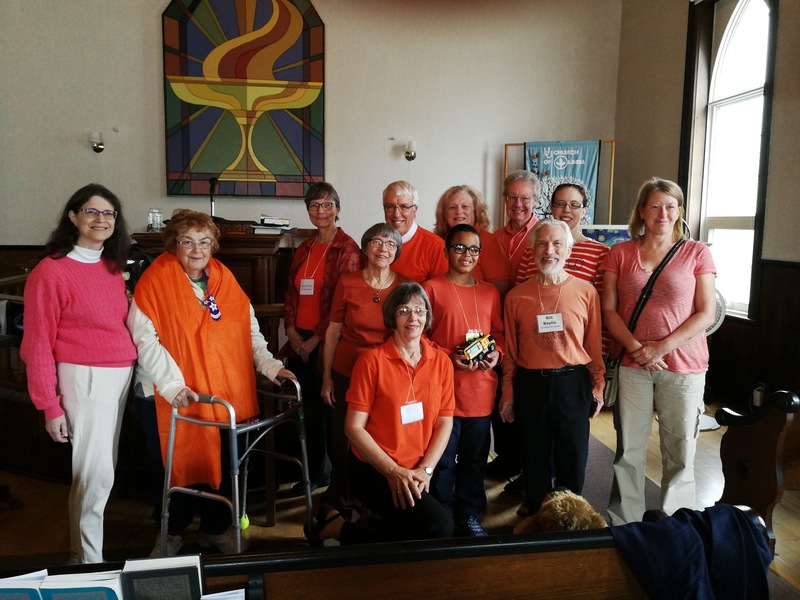 The Society has presented 35 lectures to date, dealing with topics such as Universalist heritage, Icelandic Unitarian heritage, and past Executive Directors of the Canadian Unitarian Council reflecting on their tenures. This year, the lecture will be “Mark Mosher DeWolfe of Canada: The Eulogy I Never Gave”, presented by Rev. Dr. Mark Belletini, Minister Emeritus, First Unitarian Universalist Church of Columbus, Ohio. The lecture will be held at the First Unitarian Congregation of Toronto, 175 St Clair West on October 22, 4 p.m. Eastern, and will also be livestreamed at http://www.FirstUnitarianToronto.org/live (please note that this has changed from the original link). This year the Religious Education committee is pleased to announce that two programs will be offered to our young people. This program will be presented the last Sunday of every month and will last 1hour from 10:30 to 11:30. Subject matter will be covered in a two year period. The preteens will be offered the Stepping Stone program where they will be presented will such diverse subjects as Begining Myths, What Science Tells Us, The Miracle of Birth, Questions About Dying and Desision Making. The younger children (K to grade 2) will learn a new curriculum offered by the UUA and downloaded from their website. It will be presented every Sunday. The focus will be “Creating Home” covering different concepts such as Animal Homes, Our Faith Home, etc. A fuller list of subjects may be found at http://uua.org/tapestryoffaith.